Pain of loss caused by death is one of the most ironic joke that life can throw at us. How can we be given life only to have it taken back? It is tragic, heartbreaking, and sadly inevitable. However, no matter how much we try to prepare ourselves for the day we finally lose someone, we will still, always, find ourselves utterly defenseless for the day it finally arrives. No amount of comforting words can ease the heaviness that this trying time can bring upon us. You may also see announcement email examples & samples. The death of a loved one is already indescribably agonizing. But having to break the news to family and friends about this, to put it lightly, sad occasion is a different kind of pain altogether. It is a task that will not be easy to do. How can you tell people about the loss of a beloved when you have not accepted it yourself? How can you give such painful news to others knowing it will break their heart? You may also like promotion announcement designs and examples. Although announcing a family member’s death is the last thing you want to do, it is a necessary task that needs to be completed as soon as possible. It should also be the first thing that you deal with before you go on to prepare for the funeral arrangements. Everyone knows you have a lot on your plate right now but the family and friends of the departed has the right to know. You may also check out birth announcement designs and examples. Yes, taking the time to personally call all your closest family and friends is how most people publicize the news but this can be too difficult for a lot of us. Talking to people and hearing their condolences, comforting words, and even their tears and grief may not be what you need right now. You might be interested in baby announcement designs and examples. While word of mouth is reliable to let everyone in the family tree know about your loss, and obituaries are highly effective in small towns, informing friends and work colleagues especially those who live outside your town can be a little more tricky. Death announcement cards are another way of telling people about the passing of someone. These cards can make this daunting task at least a little less difficult. Instead of an impersonal, informal email or a phone call you still have no courage to make, these cards will do the difficult job for you. 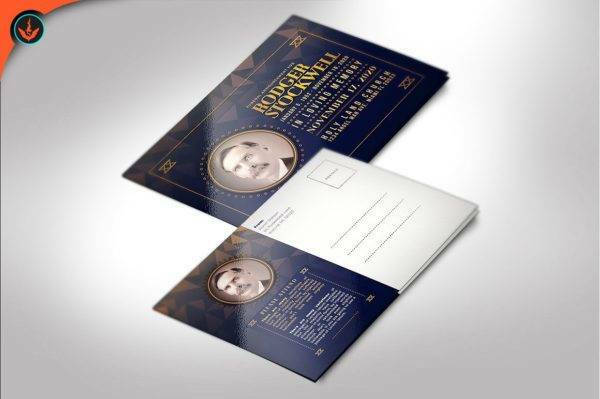 You may also see remarkable funeral brochure design samples. 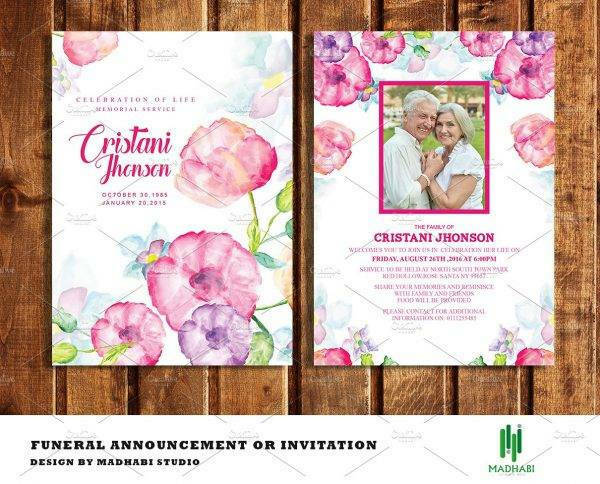 What Is the Difference between Death and Funeral Announcement Cards? A lot of people confuse these two as synonymous when, in actuality, they have quite different purposes. As aforementioned, death announcement cards are only sent to notify people about a person’s death. 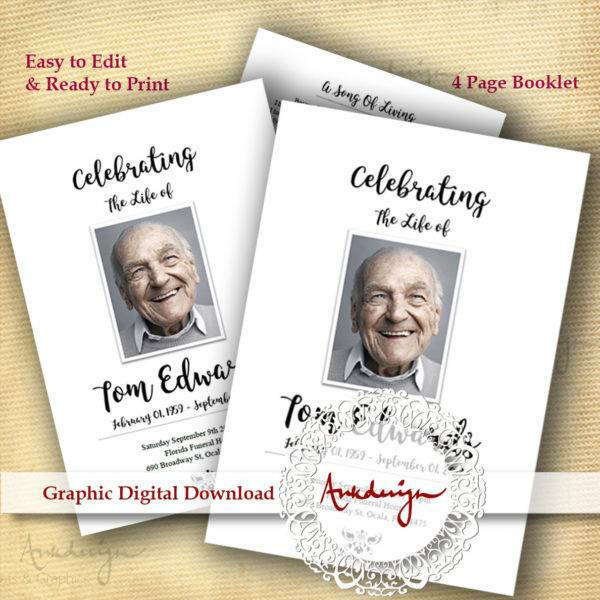 Funeral announcement cards, on the other hand, also provide funeral or memorial details. They also tell people that they accept donations that will go toward the deceased’s supported charity. 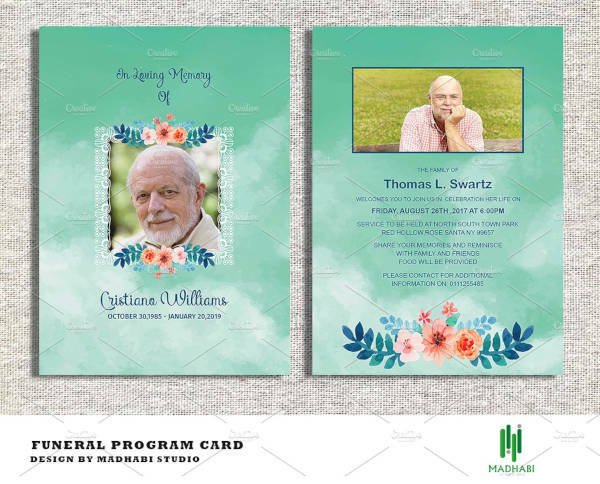 So while a death announcement card simply informs about a person’s death, funeral announcement cards serve as invitations to attend a dead person’s commemoration. It is better to identify what you need your simple card to do before creating one. What Are the Things Written on a Death Announcement Card? Death announcement cards do not hold any detail about a memorial service or a funeral. In fact, these cards are sent when there is still no decision on when the funeral would be held, or if a funeral will be held at all. Death announcement cards are sent to simply inform people about the death of a person. You may also like obituary writing examples & samples. They mainly contain the name of the person, his date of birth and when he passed, and his relationship to the survivors. 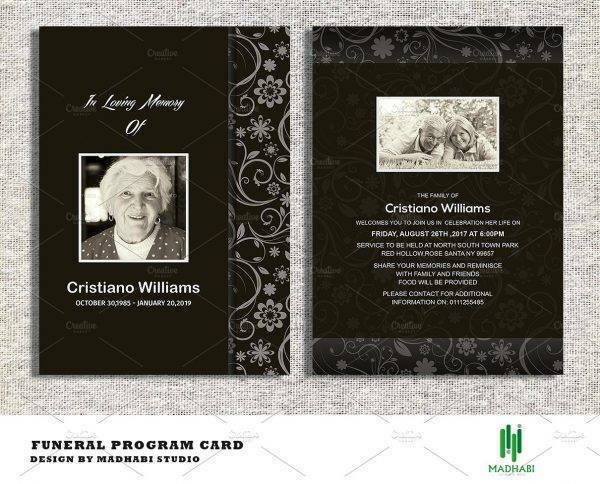 Death announcement cards also most often include a photo of the deceased that takes up most of the card’s surface. The great thing about death announcement cards is that there is, more often than not, no available space for any personal message (except if you intentionally create one). In the early moments of learning about someone’s passing, writing anything barely coherent may be close to impossible. Which is why death cards don’t demand them from you. 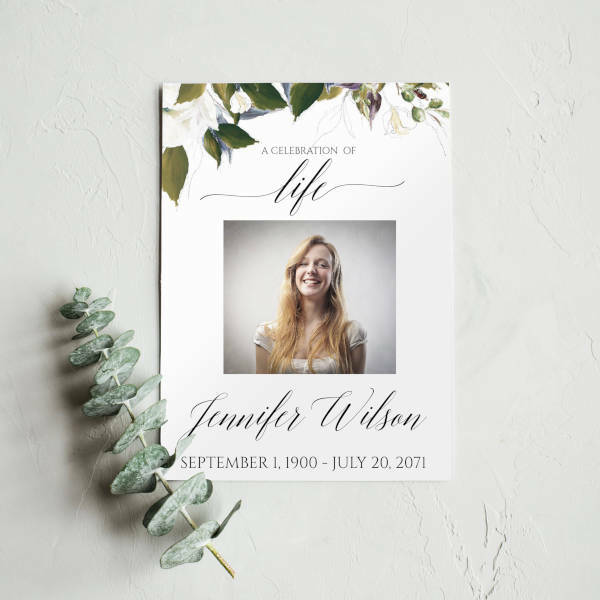 You are only given the task of providing the most basic details, choose a design and a photo for your card, and mail them out to people who should know about the loss. You may also see baby announcement postcard designs and example. Most people would probably make do with posting about the news on social media, or telling a couple of people about the death of a loved one and let unofficial discourse do the rest of the job. Some would even be fine with writing in the obituary about it but these things are not always perfectly reliable. First of all, your loved one meant a lot to you. He probably meant the whole world to you. Which means that his death is something you take personally. The pain it caused you may even scar you for life. You don’t want to unceremoniously throw the news about his death on the Internet. 80% of the people who will read it don’t care about your loss and about the person you lost. You may also see death notice examples & samples. Don’t make your beloved’s death something that the social media world will feast on. Plus, by doing this, you are unknowingly giving fake mourners the chance to fake their mourning. Don’t let the memory of your loved one be marred by such an insulting act. Second, your loved one is cared for by so many people who deserve to know that he has already left the world. You don’t want to run into an old colleague a month later and shock them with the news that their friend has died. No, they deserve the chance to mourn as well. They have played a role in the life of a man and they hold the right to celebrate the life he lived. You may also like how to write an obituary. Third, obituaries are only good for a specific area that the newspaper company covers. What about the neighboring areas? Or the other places where the deceased has lived in his lifetime? Instead of publishing newspaper obituaries in more than one town, mail out death announcement cards instead. You may also check out examples of funeral speeches. Plus, there is no absolute certainty that your obituary will be read by its desired audience. Unfortunately, not everyone reads the newspaper anymore. So make sure the message gets through. Send a card. 1. Death announcement cards will spread the news more quickly and more formally. Of course, the deceased will have friends or work colleagues who, despite not being closely acquainted to the dead, should still be informed about his passing. However, in distant relationships like this, a phone call or a formal email would be unnecessary. (They weren’t close, after all.) A simple card to inform them about the situation will suffice. 2. 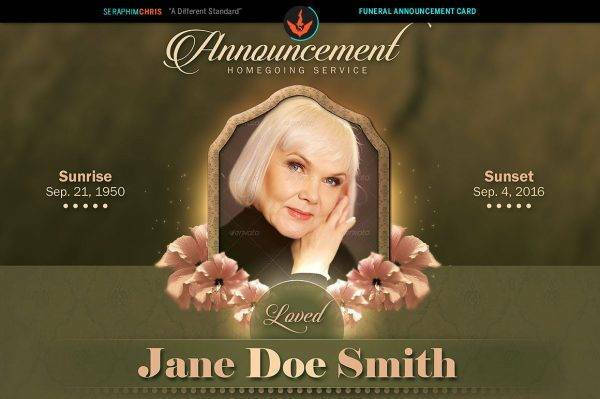 Death announcement cards can be personalized. Which means that you can make it as special as you want it to be. Of course, if someone really important to you has passed, you would still want to make everything look great for them, even if they’re gone. With death cards, you can do exactly that. 3. Death announcement cards can show how much we love them. 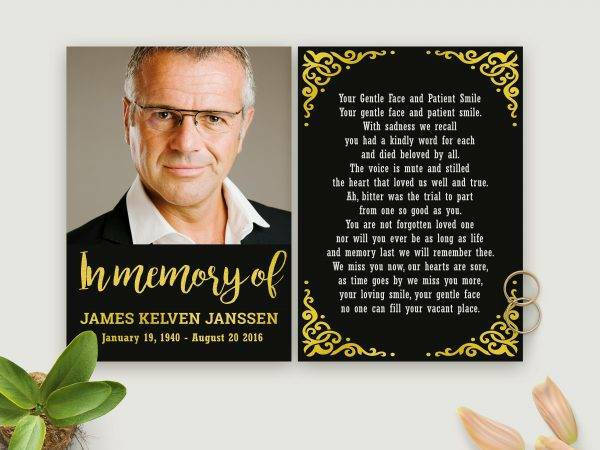 Since, in the midst of grief, you still took the time to design or purchase death announcement cards, this tells so much about the effort you are willing to exert for this person. You are going an extra mile for someone who can no longer appreciate what you are doing for them. But it doesn’t stop you, right? Why? Because even after they’re gone, our love for them is not. You may also see how to make an obituary on Microsoft Word. 4. Death announcement cards are a great way to express that we still care. Although they are no longer with us, it is still our duty to take care of them. Even in an event as somber as a funeral, we should still try to make our loved one know that we are doing our best for them. And something as small as a death card is a good way to start. You may also like funeral notice examples & samples. 5. Death announcement cards are as much for the deceased as it is for the living. Although these cards’ purpose is to tell people about someone’s passing, they are also a great way for us to say that we are grieving. And no, we are not demanding for attention by doing this. We are simply telling everyone that we are in a vulnerable state and that we have never needed support as much as we do now. You may also check out short obituary examples. Dealing with someone’s death is never easy, and no one expects you to do everything with perfection. Most importantly, no one expects you to do everything alone. Ask help. Embrace your own powerlessness. None of us can always be strong especially in the face of tragedy. 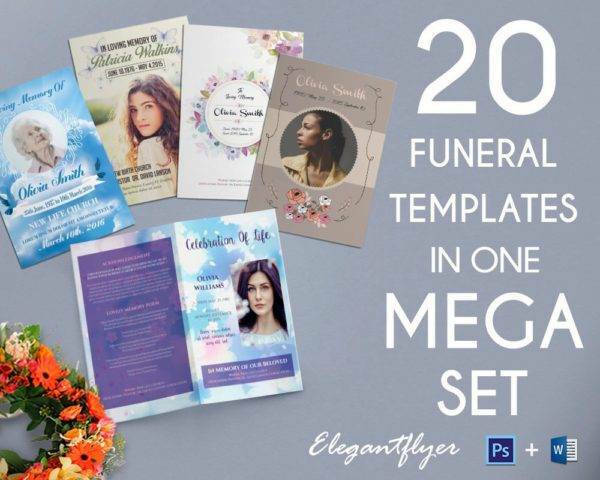 You may also see funeral flyer examples.